By Jim Butcher | November 21, 2018 | This post may contain affiliate links, which means we may receive a small commission, at no cost to you, if you make a purchase through a link. Read our Disclosure. Are you visiting Cuba soon and would like to know what are the best places to visit in Cuba? No matter how much you prepare yourself for a trip to Cuba, you’re still blown away when you first arrive. The life, the colour, the music…it’s all here – a pulsing, heartbeat that sweeps you up and carries you off in its bohemian salsa tempo. The personality of this fascinating country is magnetic, infectious and impossible to say no to. Most interestingly, this incredible vibrancy is everywhere you visit in Cuba. Every town and village we visited, the countryside, the cities in Cuba, this vitality is woven into the very fabric of what makes Cuba. This isn’t to say there aren’t problems here or that everywhere is just the same. Not at all. 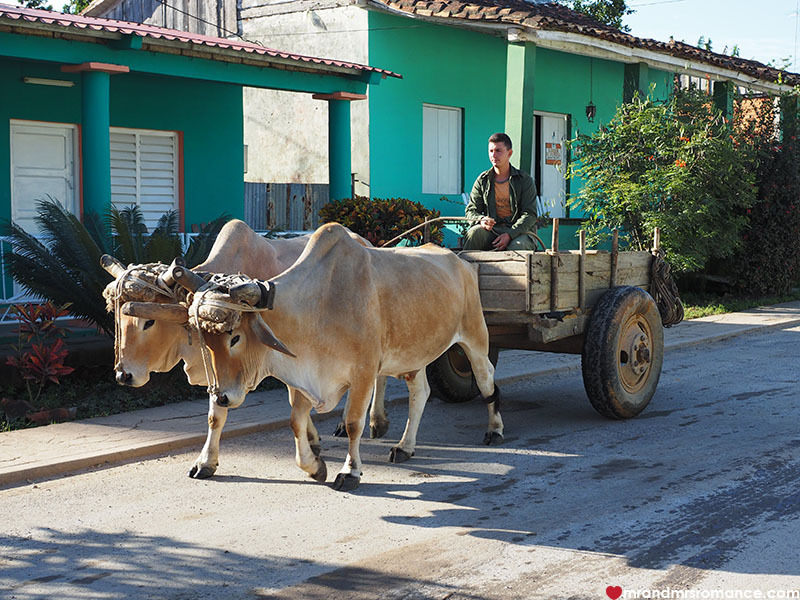 Travel in Cuba can be tricky. Public transport is virtually non-existent, hitching is not recommended and if you’ve only really driven in places like the UK, Australia, and North America, self-drive isn’t a great option either. There are some amazing small-group tour companies like Cuban Adventures that really deliver and make sure you’re safe. And more importantly, that you’re not wasting valuable travel time waiting for a bus that’s gone MIA. 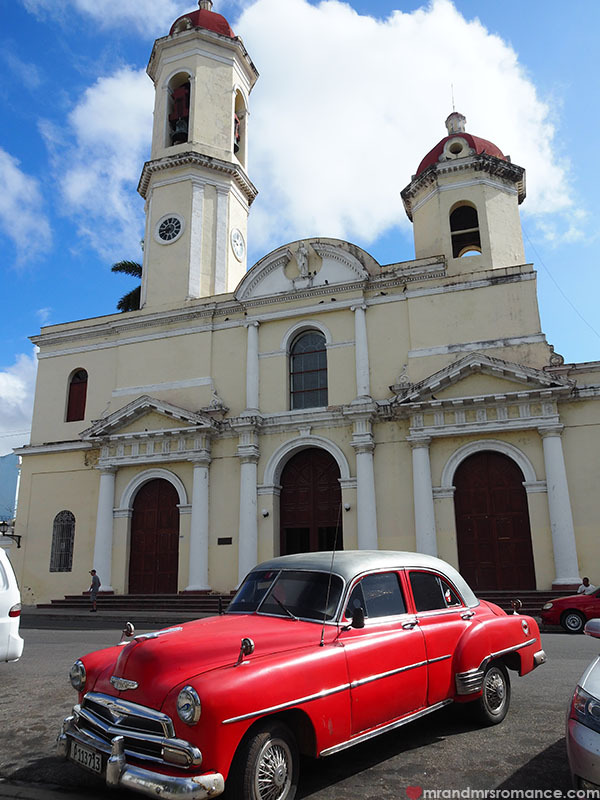 G Adventures also do tours to Cuba and Intrepid have specific People to People tours for US citizens. Of course, there is crime in Cuba too, but most of the time the street scams you can see coming a mile off. It’s really just people trying to get by, as poverty is still an issue in Cuba. Generally speaking, locals are incredibly friendly and will want to talk to you. As far as destinations go, there is just so much to see and do in Cuba, a culture-rich country. Every little town and every big city in Cuba has its own unique feel and its own specific history. 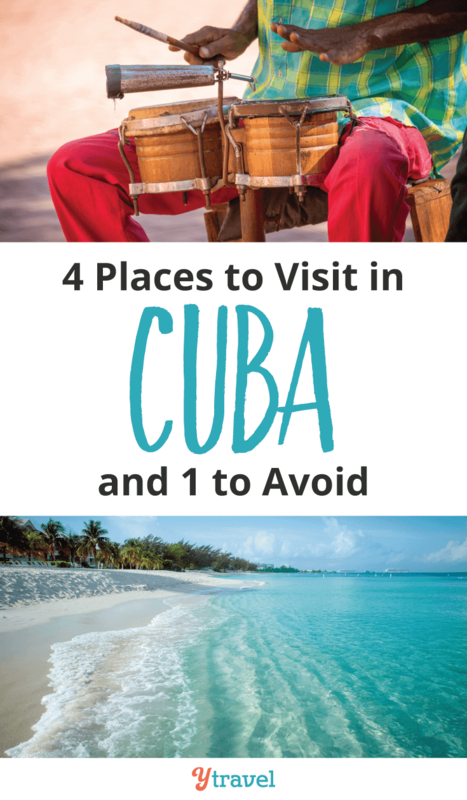 And while there are places we’d recommend avoiding in Cuba, there are some amazing places you shouldn’t miss for anything. Do You Need Travel Insurance to Visit Cuba? Ok, let’s talk about what to see in Cuba and what are the best Cuba attractions. If you don’t come to Havana when you visit Cuba, you’re doing this country an injustice. 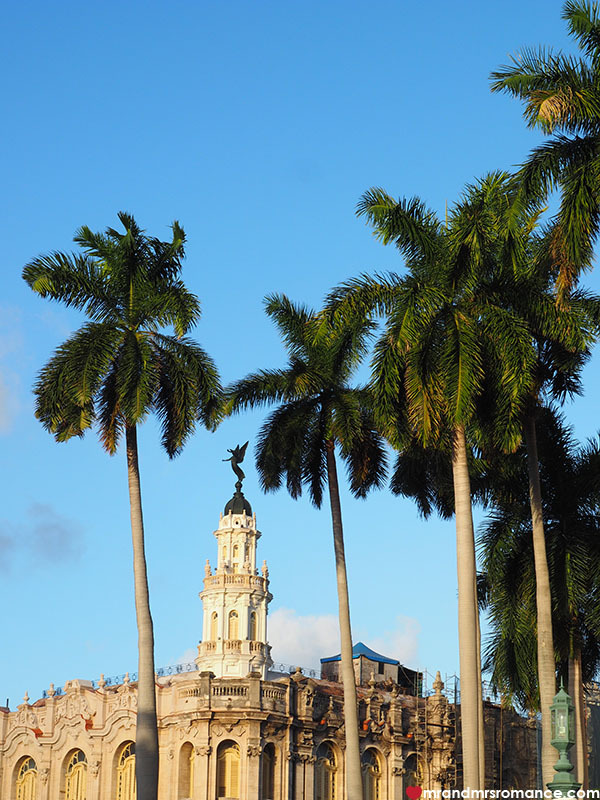 Havana is one of the most wonderful cities we’ve ever visited. And by that, I don’t mean ‘oh isn’t this wonderful, darling’. Havana really is full of wonder and one of the best things to do in Cuba. 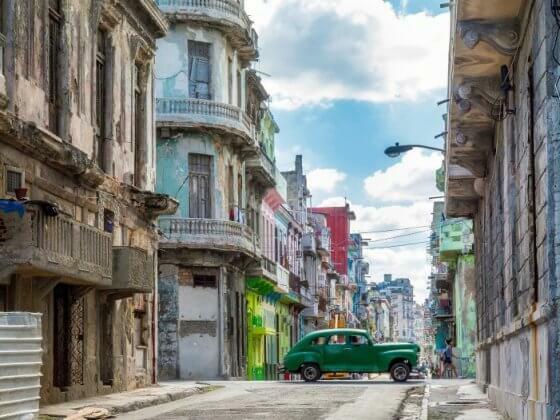 From the crumbling buildings to its curious narrow streets brimming with life and ingenuity, Havana is Cuba’s capital for a reason. Here you get the perfect screenshot of a culture the rest of the world has pretty much ignored for so many years. Our best advice is to take a walking tour through the city. You’ll hear some of the amazing history and culture that’s alive here and discover elements you’d miss if you weren’t told about them. • Plus if you have time, visit the castle – Castillo el Morro – the other side of the harbour. It’s full of history and a real icon of the city. A tiny town with a huge influence over the rest of the country, Vinales is where the very best tobacco is grown for the biggest cigar brands. Cohiba, Montecristo, Cuaba – they all use the leaves grown in this valley. 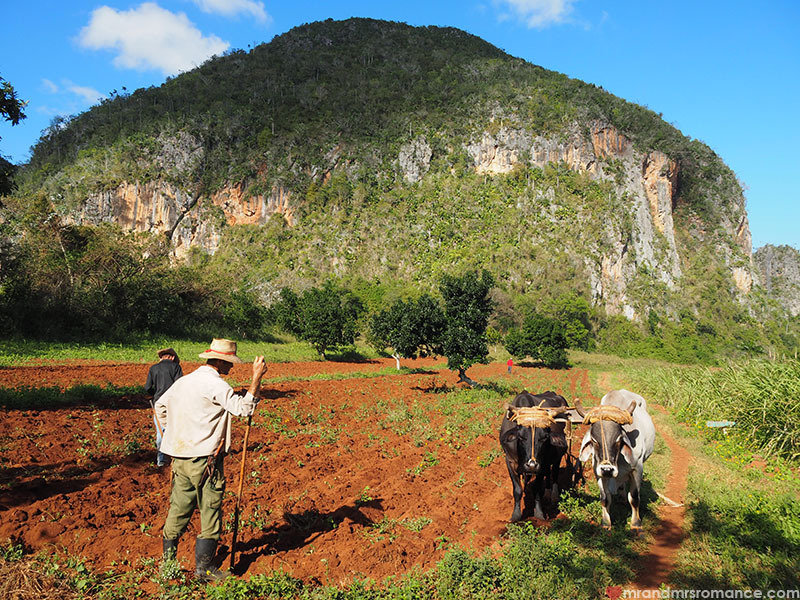 From the mountains surrounding it to the little dance club behind the main square, Viñales epitomises regional Cuban life. • People-watching from anywhere you can! About an hour and a half west along the coast from the Bay of Pigs, this harbourside town is full of art, culture and history. 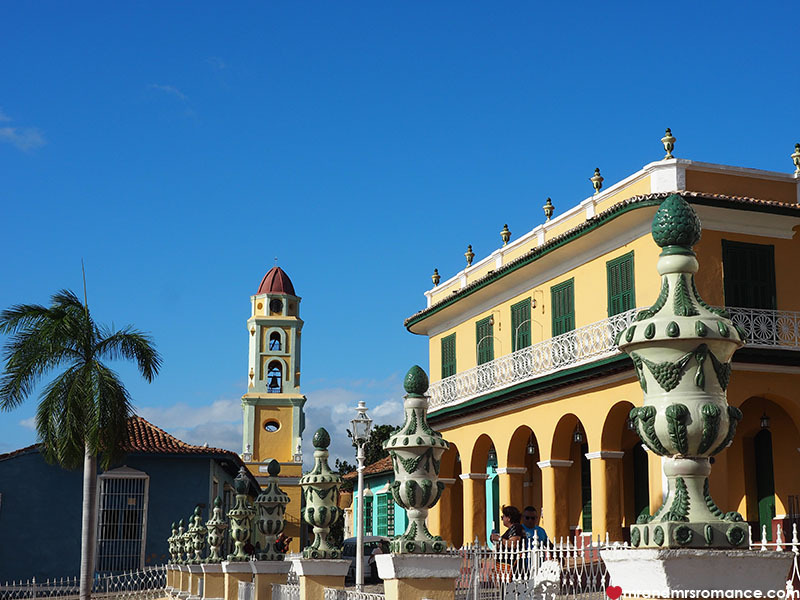 Cienfuegos is known as the Pearl of the South thanks to its beautiful bay – Bahia de Jagua. There’s plenty to do here – even if it’s just strolling around the town’s streets. The locals seem the most westernised and the city itself has a much more European feel to it. This is thanks to the strong French influence in town’s customs and architecture. 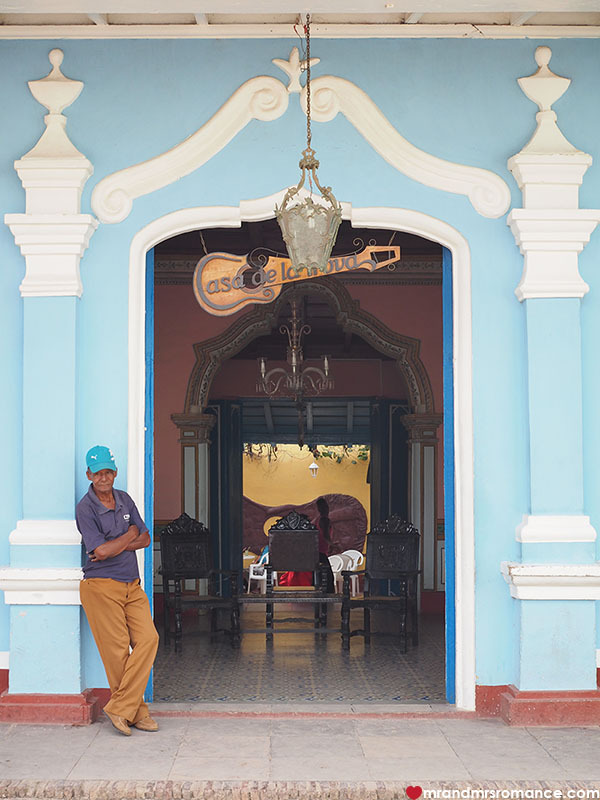 Other Cubans say the people from Cienfuegos are the most beautiful and the most cultured. 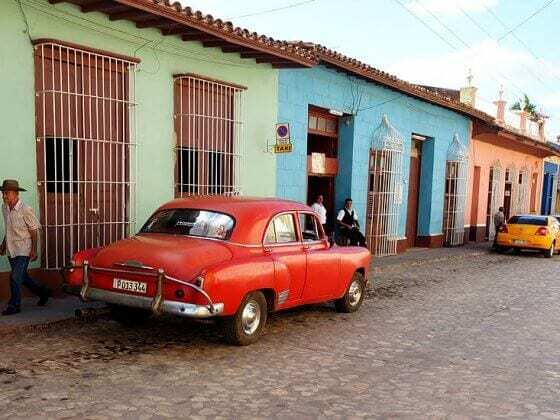 Apart from Havana, Trinidad has to be the most historic city in Cuba. 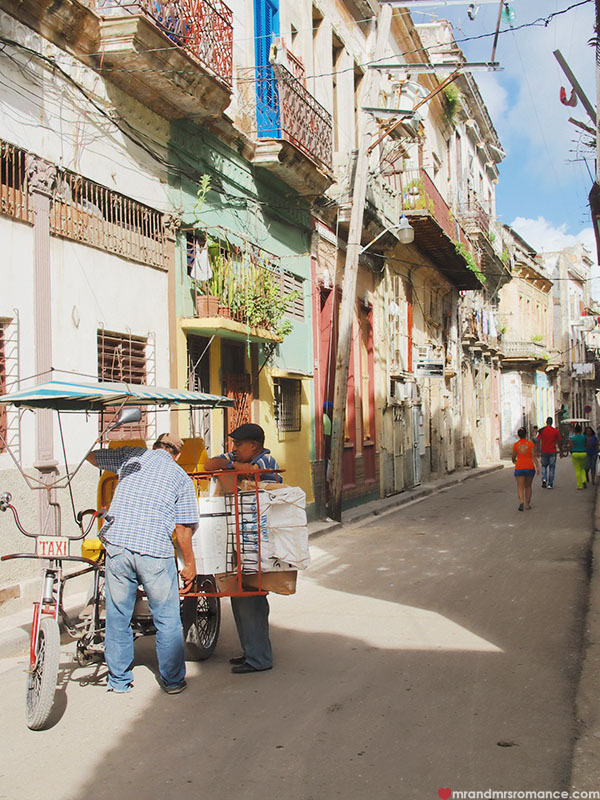 Similar to Havana, the Old Town section here is UNESCO heritage listed (as a World Monument), but unlike Havana, this part of town is only accessible on foot or horseback. Carts are also allowed and commonly seen. The narrow cobbled streets and the low, leaning, brightly coloured houses are iconic to this city. Trinidad is a place of unrivalled beauty in this country already well represented in the photogenic stakes. 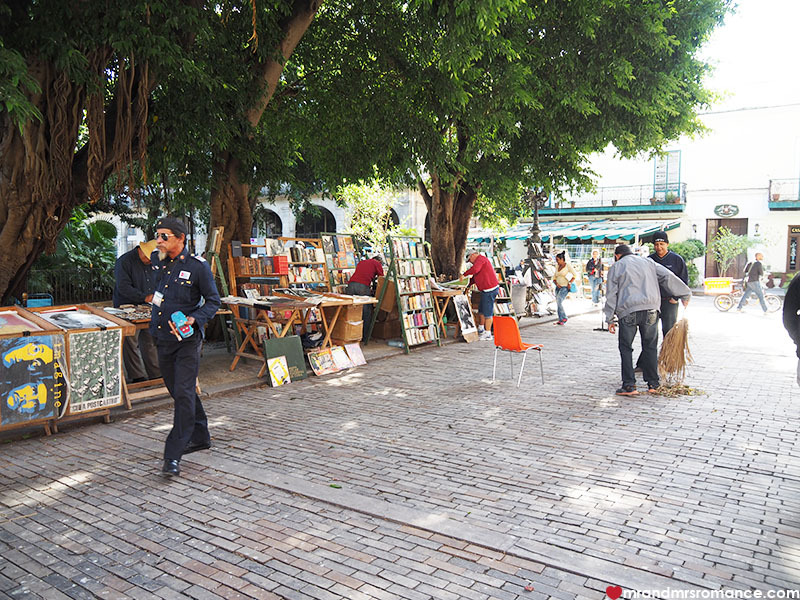 • Visit the Museo Romántico opposite the Plaza Mayor. The view out over the city is worth the entrance fee. • Visit the other important buildings like the Holy Trinity Church and Plaza de Santa Ana and the Royal Jail built in 1844. • Disco Ayalu – a nightclub in a huge cave! 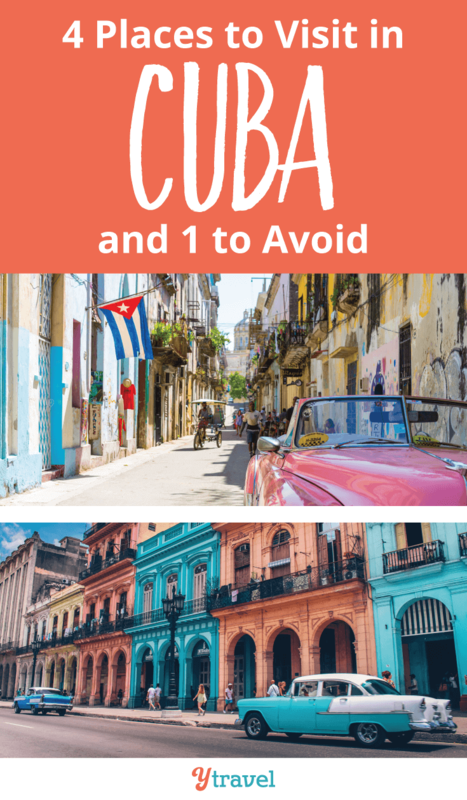 On your trip to Cuba, these are places I recommend to avoid. Historically interesting but unethical in its tourism, the Varadero peninsula stretches into the Caribbean at the northernmost point of Cuba. It’s about 2 hours east of Havana. The American mafia wanted to build a stretch of casinos from this peninsula all the way to Havana – so naming it the Casino Coast. However, when Castro took control from the corrupt Batista, he kicked the mafia out, who then started Las Vegas in Nevada. This peninsula has some of the most stunning coastline in the country, and ordinarily we’d be voting for this one to be a priority to visit. The problem is the resorts lining the beach here utterly spoil it. All-inclusive package deals keep unwitting and unwelcome tourists in their complexes where the beaches are guarded and locals are not allowed. There is even a boom gate at the start of the peninsular stopping Cubans from entering. Interestingly, outside the confines of these huge resorts, Cuban life does carry on in Varadero with relative normality. There are classic American cars, casa particular, little shops and bars. It’s just tainted by the legacy the Cosa Nostra left behind. Further away east towns like Santiago de Cuba and Baracoa offer amazing beaches, beautiful towns, exciting adventures and a path far less trodden. We didn’t make it there. But it’s a matter of yet than never! We can’t wait to get back to Cuba and explore more of this fascinating country. Yes, you need to have travel insurance to enter Cuba. World Nomads is one of the world’s best insurance providers no matter where you live. Booking.com has over 1,000 properties in Cuba. You get free cancellation on most rooms and a best price guarantee. When are you going to Cuba? Share your tips in the comments below on what you think is the best of Cuba? Cuba sounds amazing, I really want to check it out soon, before things change too much! Interesting about Varadero, I hear so much about it but I never knew about the downsides of it. I get bored of resorts after one or two days, so don’t think I’d be stopping too long (if at all) anyways. I would agree that varadero can be skipped as I just returned from there and wasn’t a fan. Sticking to areas like cayo coco, guardalavaca and holguin are gorgeous with lots to do and amazing snorkeling. Note that your comment on the beaches is not what we found. Beaches are open to everyone aka public, regardless if they are near a resort or not. We had many locals on the beach in front of our resort. Hey Jim, I born in Cuba, I was an entertainer and I wanted to advise you to travel up to Topes de Collantes if you like the nature and also very close to Trinidad, one of the most historical places in Cuba aside with other ones, amazing natures views, cascades, you name it. Cuba has nany options, of course forbidden on the past to tourists but lately the government its getting a change of mind. Send me an email with further questions about my country and I will be happy to assist you. Hi Jim, I go for my 40th birthday with friends. Where can we party during the day (maybe all inclusive beach) and at night (dinner and dancing). We are staying in Havana. Any recommendations for us in November. I hear its quiet so maybe we can get a good deal. Ohh man, I love how you can look at photos of Cuba from last week and from 40 years ago and basically have no idea it wasn’t taken the same week. When I tell people about Cuba, I say imagine that someone closed the doors in the 50’s and not a single thing has changed since then! It’s changed a little, thou not much. If your a baby boomer this will likely make you feel like a kid again. Go fast thou, it’s gona change soon. Coming from Canada, i’d recommend booking into Varadero, it was cheaper then todo 10days all inclusive then just flying to Havana. We got to the resort, unpacked and hit the road! Go To Cuba, we also took a bunch of kids baseball gear and drove out into the country side giving it away. It likely looked bizarre seeing to white kids roll in on a scooter opening up a backpack and giving your kids brand new baseball gloves, thou the kids smiles overcame the awkwardness fast. I’ve got more, maybe i’ll write a Cuba blog to. Love love love Cuba. I am so glad we got to go there before they opened it up again, and yes I remember the locals lamenting what had been done to their beloved Varadero. Love your article Jim – it brought back many memories of playing bongos on the roof of a pub after too many mojitos, dancing salsa in an out of the way bar with only locals in sight, walking the back streets of Havana and finding all the little one-only-not-here-tomorrow-no-matter-how-good-it-tasted hole in the wall eateries that the locals started through their kitchen window, and the best part… sitting on a couch with an ageing gentleman telling me about his time in the Buena Vista Social Club while a Grammy Award sat humbly on the wall above my head. His name was Amadito Valdes and as a fan of the movie and the soundtrack, and a drummer myself (nowhere near as good as this man) I can safely say that I never wished my fading Spanish would come back than that afternoon with a beer in hand wishing we didn’t need a local friend we had met to interpret for us. Surreal just the same. Would love to go back and take our kids. And the cars… those cars! Very relevant post especially with Cuba opening up now. I have to agree about Varadero – I spent two days there but felt it was a typical tourist place, of the kind where visitors don’t really leave their hotel or resort. Other places see tourists as well of course, but they also show more of the real Cuba. Great guide! Cuba has always been a destination I’ve wanted to go. Now that we Americans can visit safely, I’m looking forward to ticking it off my travel bucket list. Once I finish my escapades in Southeast Asia, it will be one of my first stops since it’s a mere 90 miles from my home state! Great post guys, thanks for the inspiration! the person who posted here to avoid it does not really know what he is talking about. Varadero is awesome ! Beautiful place with the best beach I’ve ever seen! Would love to travel to Cuba one day. It is definitely on my “to do” list! Cuba was definitely one of the highlights of my travels. We went there about 6 years. Hired a car to drive around, so saw a good mix of quiet spots and the tourist hot spots. Cienfuegos was great, but I have to disagree with you on Varadero. Yes, while I was there I complained about the tourists that were flying in only for Varadero, not for Cuba, I complained about the prices, I complained about the lack of authentic cuban culture, I complained about the resorts. But when I got home, the photos showed a beach that must be one of the most beautiful in the world with crystal clear water. 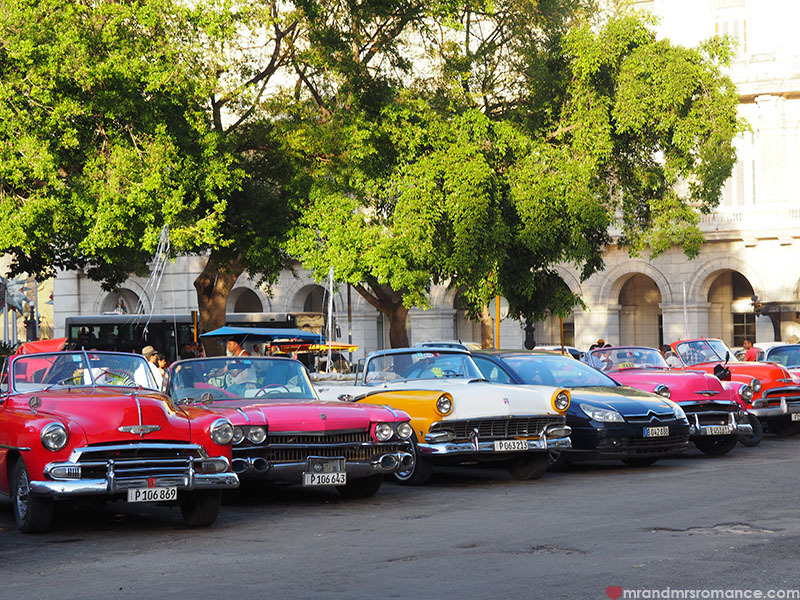 I love Cuba, especially Vararadero beaches, Santa Maria del Mar and Guardalavaca, and come to visit Old Havana. 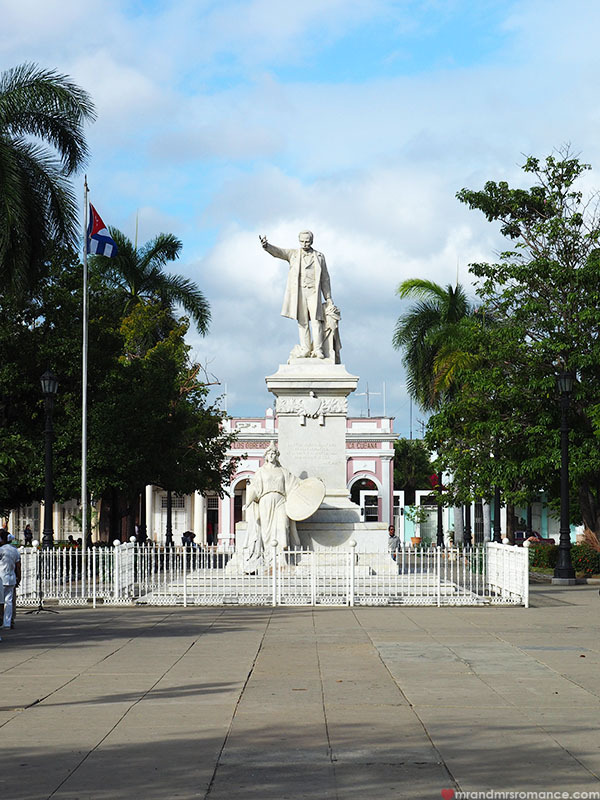 Dont Forget Los Jardines de Cienfuegos inland to visit. We visited all the cities you recommended and went to Varadero, I didn’t think Varadero was that bad. We stayed in a Casa a block from the beach only $30, we were on the beach end far away from the all-inclusives. I too am nervous what will happen to the beach as tourism increases. I will traveling to Cuba in the near future. Did you visit Vinales? Did you go on your own or with a tour company? We would like to do a day trip. Any information is greatly appreciated. Thank you for your post! 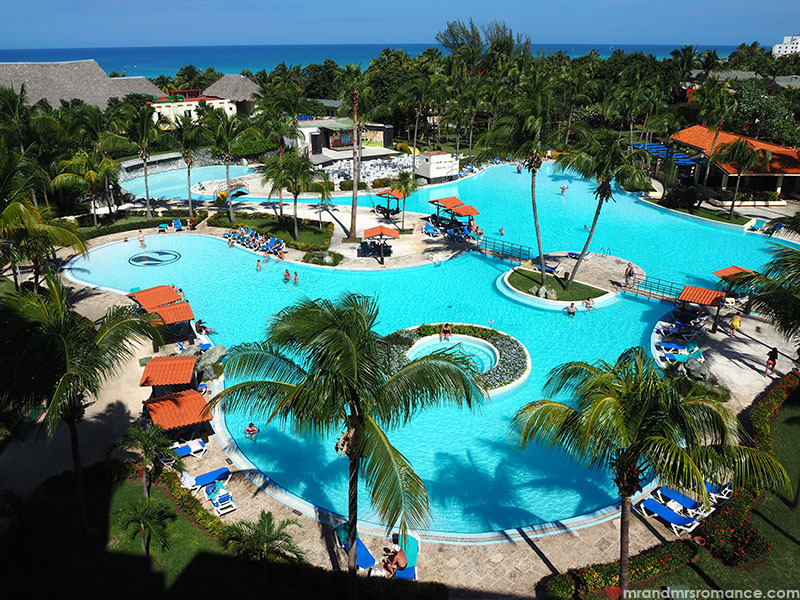 I was wondering if you could please tell me the name/contact info for where you stayed in Varadero? A group of us will be traveling in late June. My question, is it fairly easy to find an independent travel guide? During our stay we would like to travel to Vinales for the day and will need a guide and transportation. Would like to have lunch and a tour of the tobacco farm. Dear Velia, I just had the most amazing personal tour of Cuba thanks to Royal Cuba Trip and I am now helping out to advertise their tailored made tours. Have a chat (E/Sp) on whatsup with the Boss, Bladimir Bell (+506 870 73810), a pure cuban based in Costa Rica. fantastic 🙂 how long stay do you recommend? That article gives me the idea to visit Cuba soon. Is it good to visit Cuba in December? How will be the weather there? We ares baby boomers from Canada and want to plan the trip ourselves. Is it doable travelling inCuba? We want to see diffrents places: LaHavane and others, and stay sometime near a beache. I readed below someone suggested to book a package 10 days into Varedero. From there, how we could go around and visit differents places that need more time? Hi Thi. Yes, December is a great time of year to go – it’s when we went actually! It’s not too humid and not rainy either. If I were you, I would avoid Varedero as much as you can. The beaches there are stunning, but it’s all just package holidays and big gated resorts. It’s not the real Cuba. 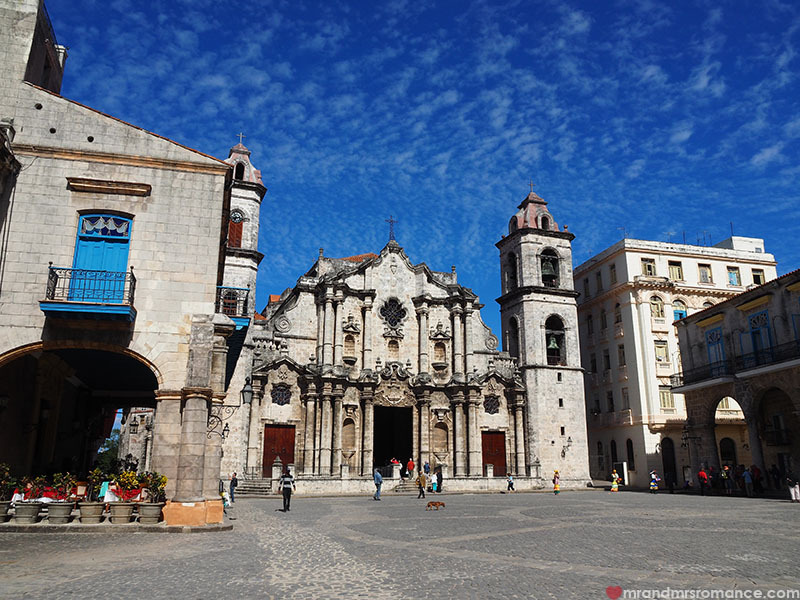 It’s better to fly into Havana and start exploring from there. If you want a tour guide recommendation, this is the company we went with (they also have offices in the States now too), and they were brilliant. https://cubagrouptour.com/ Hope you have an amazing time in this beautiful country. Kim, I am also looking into exactly which “option” of the 12 to go with. I would love to start a travel blog of some sort. So of the 12, support for the Cuban People, People to People or Journalistic Activity are options. My brother and I will be leaving in six weeks so I need to figure this out as the tickets are bought. What have you found? I’m pretty excited about going as I love to budget travel. Cuba will be country #30 for me. Some help from everyone would be appreciated or Kim, let’s keep each other informed on what we find. Thanks! My husband and I visited Cuba last Christmas. We just booked flights and our first nights accommodation, figured we’d play it by ear from then. We had a fantastic time – this really is a place where you have to just go with the flow. You won’t ever be stuck for a bed, you will never go hungry and the rocking chairs are amazing. It’s not perfect – you are guaranteed a major stomach upset and some nasty insect bites. The local (and very cheap) rum does cure all ills but do bring loads of Imodium (or whatever works for you) and plenty of antihistamines. I agree – Havana is a dump. A day there is even too long. You may want to edit your description of Varadero to inform your readers the peninsula juts into the Florida Straits, not the Caribbean. But hey – you’re the writer. Hi There, Im planning a trip to Cuba and I have 1 question. 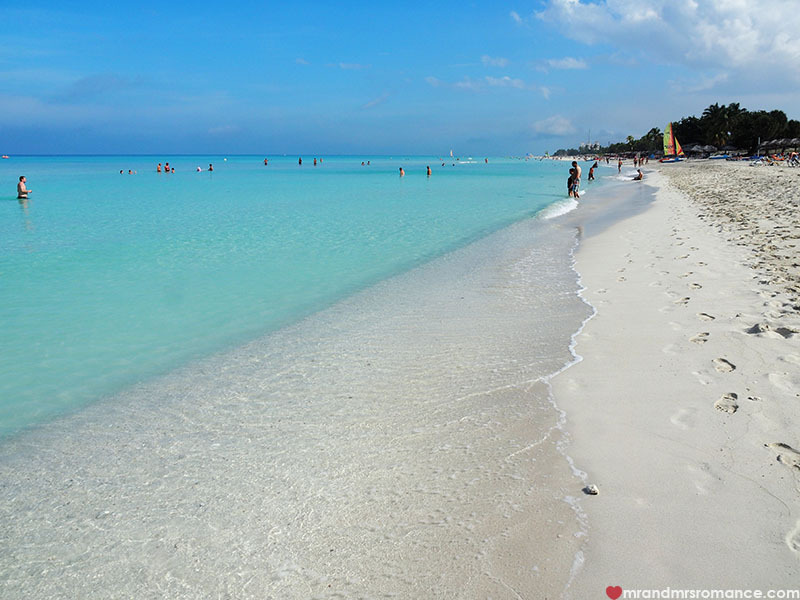 I would honestly avoid Cienfeugos over Varadero (but that depends on what you’re looking for). There’s nothing exciting in Cienfeugos, the same can be said for Varadero but I had more fun in the all inclusive resorts and walking the city around Varadero than I did in Cienfeugoes. Another that can probably be avoided is Santa Clara. I want to go back and see different areas, just hard to guage how much time is really needed in each area. I got bored quick in Santa Clara and Cienfeugos. Also, Trinidad and Vinales are a must. This article reminds me of my best moments in my visit to Cuba. But I must say, I would recommend Havana, of course, the infrastructure is below the great destinations of the Caribbean, but the low price and receptivity of the people make this part of Cuba a good experience, in my opinion. I have gone to cuba a few times it is fantastic.I have stayed a hotel and have learned that it is awesome to rent a whole house for 20 bucks a day and get great food too.I love santa fe that was a great place and people were very friendly I usually stay for 30 days at a time and enjoy the time there we have made many friends.I have visited there about 4 ir 5 times. Sun and bugs go hand in hand so bring hat and sunscreen and mosquito repellent. what is the best way to exchange money. I’m in USA so American dollars. I hear its better for me to change here to Euro and change there to Cuban? Can you recommend best cities to see and beach to rest enjoy to sand and sun. Thank you. I agree with the Varadero miss. We were curious, so we stayed in a small village half way between Varadero and Matanzas in an amazing Casa Particular (the owner was a chef, and I swear we must have rolled out of there!) we took the bus for a day trip to Varadero, had a look around some of the “swanky” resort areas and retreated back to our Casa with the beach just opposite it and Emilio making us mojitos. We are looking at a visit to Cuba and wondering how yo go about it as we are not resort type people and like like to explore. Should we book a few days in Havann and get yours once we are there or book before we arrive. We’d like to see ad much as we can. I plan to visit Cuba in November with 8 people to celebrate my 40th birthday. We will stay in Havana. CAn you recommend a beach resort/hotel I can visit for the day only where I can do a “beach party” for my group. Also looking for a club to celebrate as well. Were we can eat and drink and dance. First timers here. Great post ! 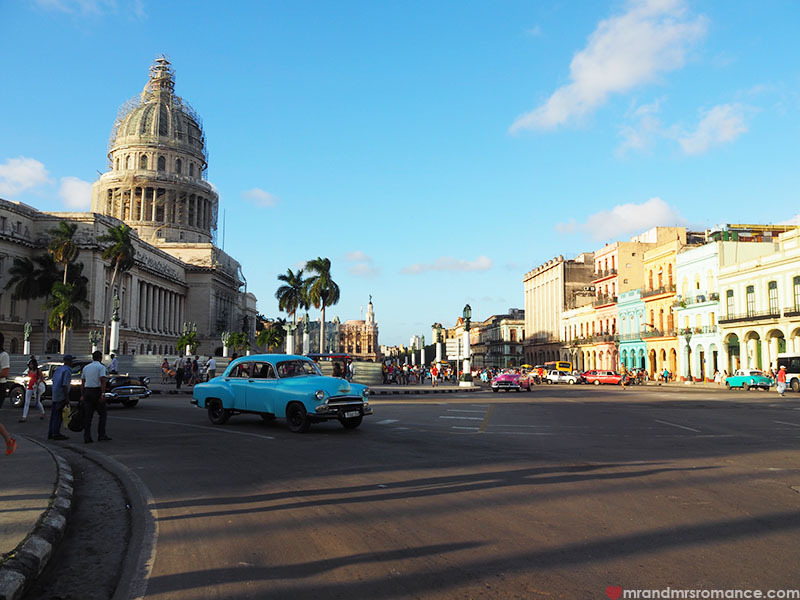 I live in Cuba several months each year and I love to read about tourism in Cuba, is a really realistic post, beyond the topics. My mother was born in Cuba but left for college before the revolution to attend Magill University in Canada. It was somewhere I had always wanted to go so when Obama loosened things up and made it possible for us to go I was over the moon! I have been there 7 or 8 times now and find myself going around every 7 or 8 months. I absolutely love it there! I have made so many friends that I make a point of seeing every time I visit my beloved island. I say my beloved island because I was raised “Cuban” and even though I was born in Brooklyn I identify with my Cuban heritage most of all. Cuba has it’s good points and bad points like every place does but I truly love it there! I am in the process of getting my Cuban citizenship (I qualify as the daughter of a Cuban national) and plan to buy a condo or apt there as soon as it’s possible. I recommend it as a place everybody should visit. It’s my yearly little bit of heaven. Hi! My husband and I decided 5 minutes ago to go to Cuba in early December. 7-10 days or so. Is this at all possible without a specific purpose? Our purpose with all travel is to meet as many locals as possible, see everything we can in a short amount if time, eat in every restaurant, visit every museum, see every live band and avoid other tourists. I have written to your suggested hero site, but I don’t want to waste their time if this is an impossibility in the next few weeks. Not sure where to start, but everything in this article is exactky what we’d be doing, so thank you! I really hope I can make this work. 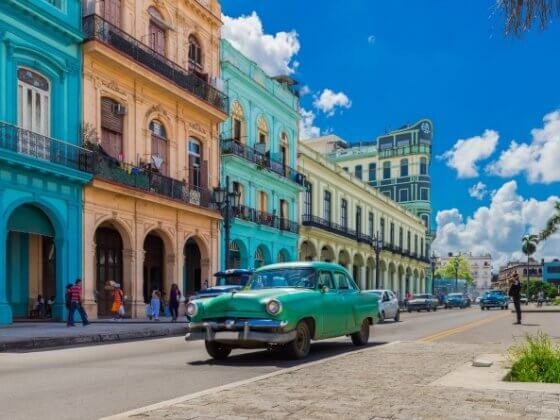 Cuba looks amazing and we’ve ajways wanted to go.